We believe that the unbeliever will spend an eternity of torture and torment in a literal, fiery hell. We believe that the King James Bible is the preserved Word of God for us in the English language and is without error. We are a “King James Bible only” church. We believe that Jesus Christ was God manifest in the flesh, born of a virgin, lived a sinless life, was crucified on a cross, was buried, and rose again from the dead after 3 days. We believe that a New Testament church should be independent, with Christ as its head, and not part of a denomination. We believe that a church, by definition, is an assembly of believers and reject the teaching of a universal church. We reject the teaching of Calvinism on all five points. We believe that the rapture will happen after the tribulation, but before God pours out his wrath upon the earth. Pastor David Berzins was born and raised in the south suburbs of Chicago. He grew up attending a Presbyterian church and while having a basic belief that God and Jesus Christ were real, he never really claimed the Presbyterian faith as his own. At the age of 20, while away at college, he was interested in finding out the truth about God so he started searching. The search ended in April of 1997 when he put his faith in the Lord Jesus Christ alone for salvation. After his conversion, Pastor Berzins grew a little and found that the independent, fundamental Baptist churches were the most Biblically accurate. However, it wasn’t until 9 years after his salvation that he got “plugged in” to a good church and was baptized. It was at Faithful Word Baptist Church in Tempe, AZ that Pastor Berzins received his teaching and training to ultimately be ordained and sent out to pastor Word of Truth Baptist Church in November 2013. After serving for over 4 years in Prescott Valley and knocking virtually every door in the city, Pastor Berzins saw a great need for a new church plant in the Atlanta area. 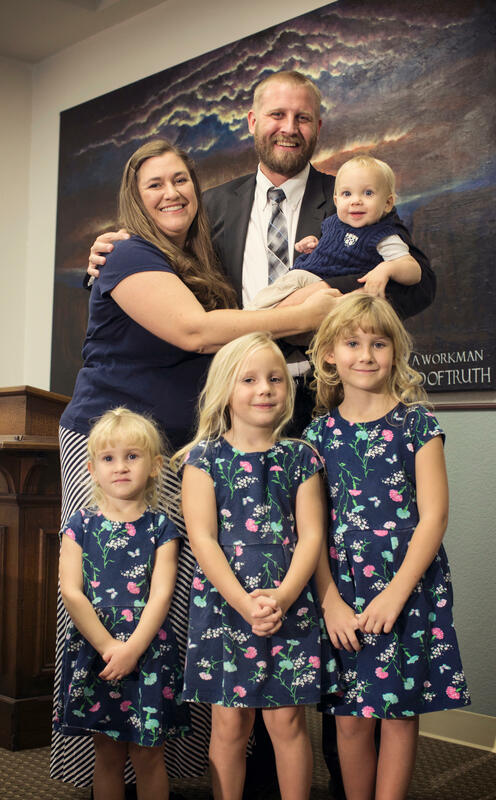 Knowing that Word of Truth Baptist Church would be able to continue serving Prescott Valley under the leadership of Faithful Word Baptist Church, Pastor Berzins stepped out in faith and moved his family across the country to plant Strong Hold Baptist Church in Norcross, GA. The first service was held on June 24, 2018 with 53 people who love the Lord in attendance and has been going strong ever since. Pastor Berzins married the love of his life in September of 2008. Leslie and David have 3 beautiful daughters and 2 sons and have been truly blessed by God as a family.